On September 19, just hours before catching a plane to Canada, where his film When They Awake was opening the Calgary International Film Festival, 2010 Institute for Documentary Filmmaking graduate Hermon Farahi was kind enough to speak with us about what he’s been up to since leaving GW (where he also received his Master’s in Anthropology). Upon graduating from GW, Hermon used his training as a documentarian and an anthropologist as a consultant for World Bank and USAID before returning home to Nevada and the family business – Circle Group, a multidisciplinary digital creative agency. For the last three years though, Hermon's attention has been on co-directing the newly-premiered documentary When They Awake. While traveling to the remote town of Inuvik, 200 miles north of the Arctic Circle, for a different project, Hermon and his co-director P.J. Marcellino started to be exposed to a larger story by the indigenous community - what would become When They Awake. 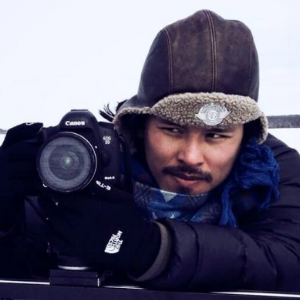 Hermon credits this decision to follow this new story to advice he got from Documentary Center Director Nina Gilden Seavey: "She said, ‘stories take on a life of their own’ As a documentarian, your job is to follow that story – wherever it takes you’. For three years I followed that story." Though a first-generation American of Iranian and Korean parents himself, Hermon feels that now, with Native movements like Standing Rock and NoDAPL at the forefront, the time is right for us as North Americans to come to terms with our colonial history with indigenous communities. To effectively achieve the goals of his film, Hermon and his co-director went to great lengths make sure they were honoring the people and stories they were amplifying on screen and avoiding what can sometimes be a very extractive way of collecting someone else’s experiences. They asked themselves the question, “as a non-native, what is your role?”. 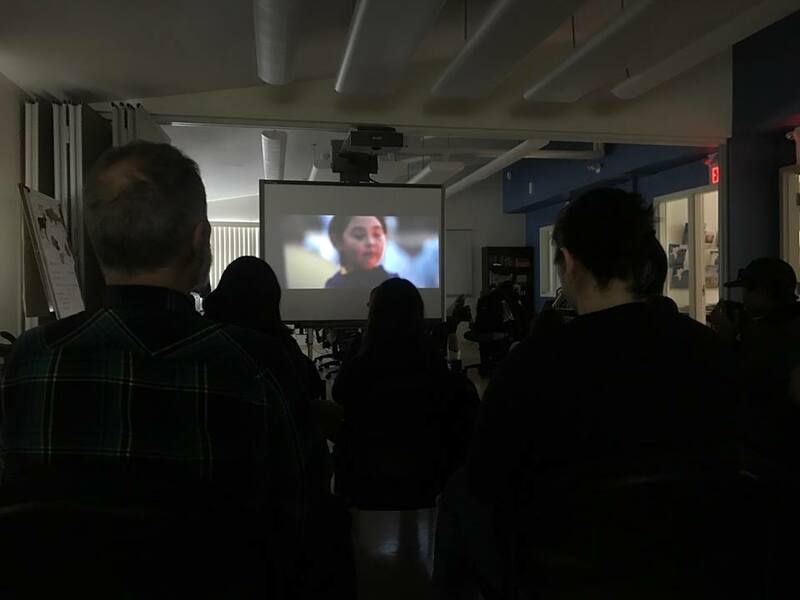 When They Awake recently premiered at the Montreal World Film Festival (where it took him a 3rd Prize award in the "Documentaries of the World" category), but has been screening in its unfinished form in indigenous communities throughout Canada and the United States since early 2017. As a way of actively listening to the subjects of their film, they followed these screenings up with sharing circles instead of traditional Q&A’s, which Hermon believes facilitated more open and equal discussion. He described the experience of listening to viewers’ feedback (both positive and critical), coupled with their fears and pain, as very emotional and highly constructive in crafting the final version of the film. Hermon feels this way of gathering feedback could be a lesson to filmmakers, especially those working in sensitive or vulnerable communities, that they put the extra effort in to do the work of active listening before putting out a finished piece. "Really having these conversations in the process of making the film, thereby allowing the film, once it hits the public, to really have people have those conversations as well. Which is essentially the goal of documentary filmmaking, right? To change perceptions, to foster greater empathy and understanding. To take an approach that takes into account the viewpoints of people you filmed with. I think that's very valuable in crafting a final product that has the most potential to affect change in the world." "It’s really surprising. When you make a film over three years. Traveling across the Arctic, you really have no idea what you’re going to end up with. For a year you’re stuck in a dark room, editing this piece - sleepless nights - and at the end of it, when you put your work out there, for it to be received as it’s being received – especially so early on – it’s surreal." Hermon says they are still working on figuring out the film's U.S. Premiere, but that should come later this Fall and will likely be followed up by a screening tour of Native American reservations, including Standing Rock. "We want to make sure this film gets seen by those folks who created the film. I didn’t create the film. These are stories and artists and music and voices and songs and traditions that we’re just a conduit for. These are their stories. For people to see themselves on screen that way...that creates a huge sense of self worth and self pride and that itself is transformational. 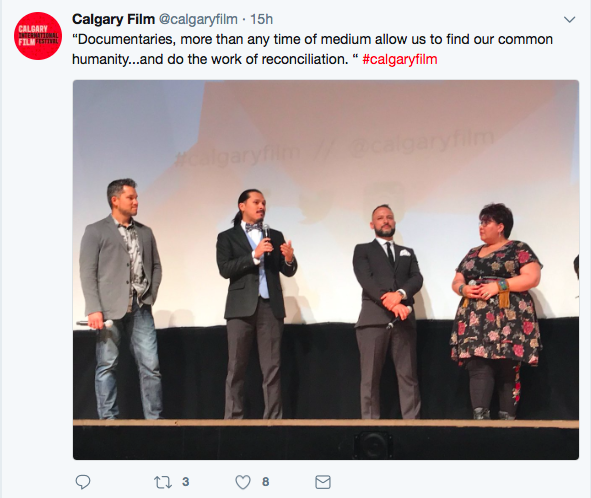 For every indigenous youth to see this film, that would be my goal." With his film complete and gaining success on the festival circuit, Hermon already has his next project in sight, but it’s not another film: he’s running for U.S. Congress in Nevada. As a documentarian, he plans to use his training to tell the stories of the challenges that we are facing as a country, keeping in mind many of the ideas and point of wisdom learned during his time making When They Awake and with an eye toward fostering healing. "A good way to create reachable goals for yourself as an aspiring filmmaker is to just ramp us every time. Challenge yourself to be able to tell a more complex story, include more characters. In doing so, you're basically proving to yourself that you can do it. It makes the jump easier from doing a 10-minute cohort film fresh out of school to doing a feature length documentary, which just seems insurmountable, that jump. I think doing short-form storytelling, and doing it often - everytime you do that, you're increasing your capacity as a filmmaker and as a storyteller."